December 2010 | MMA Fighting Events Videos Techniques UFC Fight Picks and News. If you're in the Pasadena area and you're looking for an MMA gym or school to train in Mixed Martial Arts (MMA), the Fight Academy MMA gym in Pasadena is a fully equipped MMA gym/school. They have 2,500 square feet of mat space, an MMA fight cage, a 14 foot rope ring, a 10 foot kids rope ring, plenty of heavy bags and a nice selection of fitness equipment. They have great instructors including MMA pro fighter Savant Young who last Friday welcomed Chingaos MMA to come in and check out an open mat training and sparring session. Here's a highlight video of a normal Friday morning sparring and training session at the Fight Academy MMA gym in Pasadena. Call and ask to make sure, but I believe they have open mat there every other Friday. Here's a video to get you in MMA training motivation mode. The MMA Fight Academy Gym in Pasadena is located near Old Town Pasadena at 61 West Valley street, 91105. You can call them at 626-737-0442 or visit www.FightAcademyMMA.com. They also have a gym location in Santa Clarita, California. Ask about getting a free session and mention Chingasos MMA sent ya'. 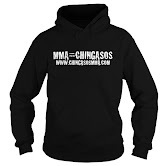 Check out the Proving Grounds 3 fight videos. Proving Grounds 3 are MMA fights that went down at the Fight Academy gym. On December 11th the Ring of Fire brought MMA to El Monte California with the third installment of their MMA event titled Quake in The Cage. 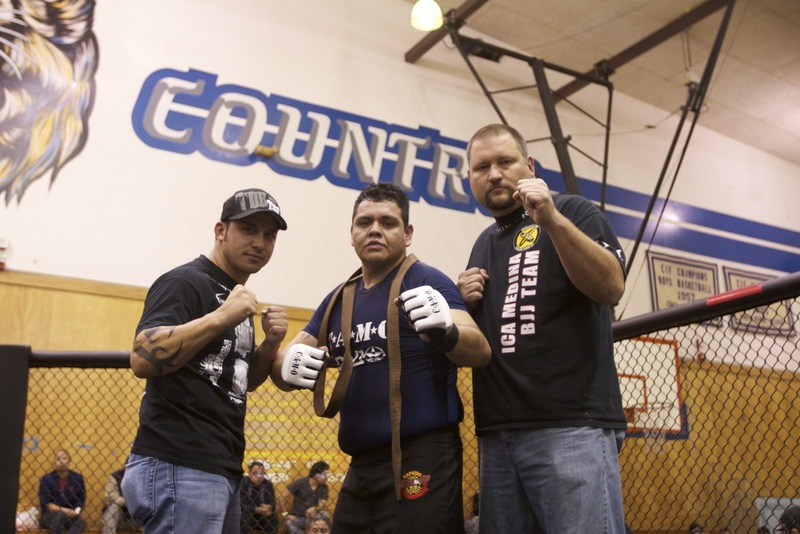 Quake in The Cage 3 featured some of the areas up and coming amateur MMA fighters. The fighters stepped in the cage and bravely put their MMA skills to the test. There was a nice crowd that almost filled the El Monte High School gym supporting the MMA action. Here is the C.A.M.O sanctioned fight card and the results for Quake in The Cage 3. Winner: Jose Huerta via ref stoppage due to strikes in the first round. Winner: James via unanimous decision. Winner: Mark Colella unanimous decision. Winner: Mark Parillo via armbar submission. Winner: Jeremy via unanimous decision. Winner: Anthony via unanimous decision. Winner: Walter via submission in the second round. Winner: Akim via ref stoppage due to strikes in the 2nd round. Winner: Alex via armbar submission. For more pictures from Ring of Fire's event Quake in The Cage 3, visit our Facebook Fan Page. This Saturday December 11th the UFC returns with St. Pierre vs Koscheck. 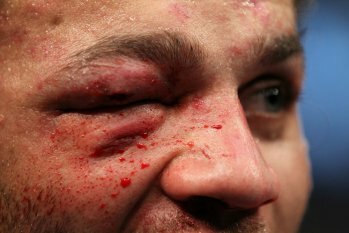 The trash talking and fight hype between Pierre and Koscheck hasn't been all that entertaining, but the fight should be. These two fighters are the most athletic and well rounded fighters in the UFC's 170 lbs (welterweight) division. St. Pierre has dominated the division. Does Koscheck have what it takes to dethrone St. Pierre? We will find out in UFC 124. Personally, I think Koscheck is going to have a hard time. St. Pierre is simply better at each and every aspect of MMA than Koscheck, stand up, wrestling and jiu jitsu/submissions. Koscheck will have to fight a perfect fight and hope that he catches St. Pierre in a mistake, physically and or strategically. A knock out chingaso perhaps? 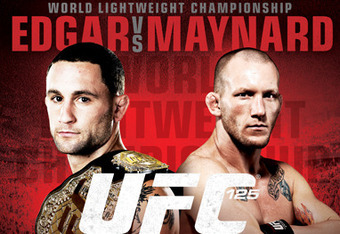 Check out the UFC 124 preview video. This Saturday, two MMA fan favorites, Dan "Hendo" Henderson and Renato "Babalu" Sobral step into the Strikefore cage to exchange chingasos in an effort to get a title shot. While this is the main event, Striforce has put a nice card together leading up to it. Hard hitting "Ruthless" Robbie Lawler will take on a gritty veteran in Matt "The Law" Lindland. Both of these fighters are looking to get back into title contention but they need a big win. Lindland is running out of time in his MMA career and his chin has been suspect. 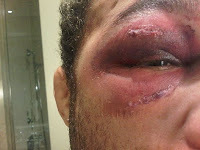 Lindland is going to have to find a way to get back to his tough wrestling without taking a hard KO chingaso. Another matchup that should be exciting is Paul "Semtex" Daley vs. Scott "Hands of Steel" Smith. Daley is on a two fight winning streak and is trying to return to the lime light after losing to Josh Koscheck and being released from the UFC for his post fight sucker punch. Smith is a tough fighter that loves to stand and trade hard chingasos. I have a feeling this fight is not going the distance. The other two fights on the main card are Antonio "Big Foot" Silva vs. Mike "Mak" Kyle, and Benji "Razor" Radach vs Ovince St. Preux.